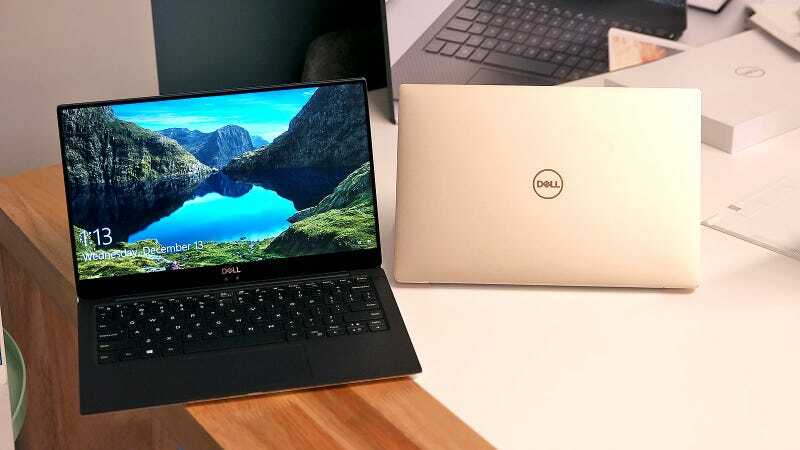 At this point you might be wondering what Dell changed, because aside from the new rose gold and white colour scheme, the new XPS 13 doesn’t actually look that different. And you’d generally be correct. 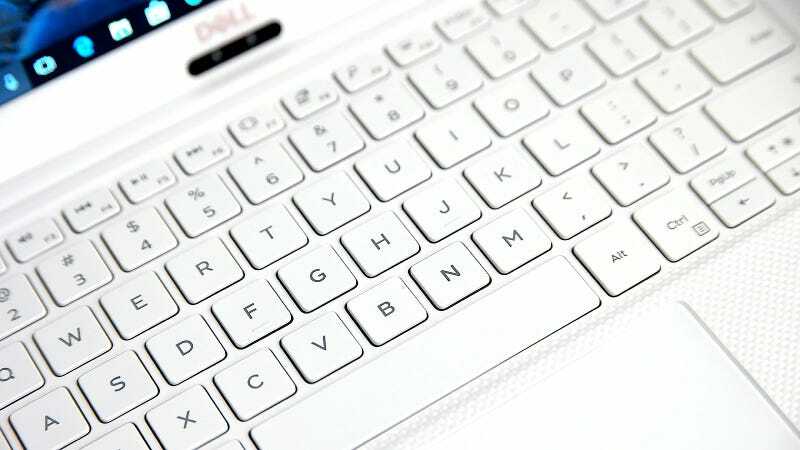 You still get a brushed aluminium lid, that familiar clamshell body, and the same chiclet-style keyboard, while cosmetically, the deck alternates between soft touch carbon fibre and Dell’s new woven glass fibre deck depending on which colour you choose. 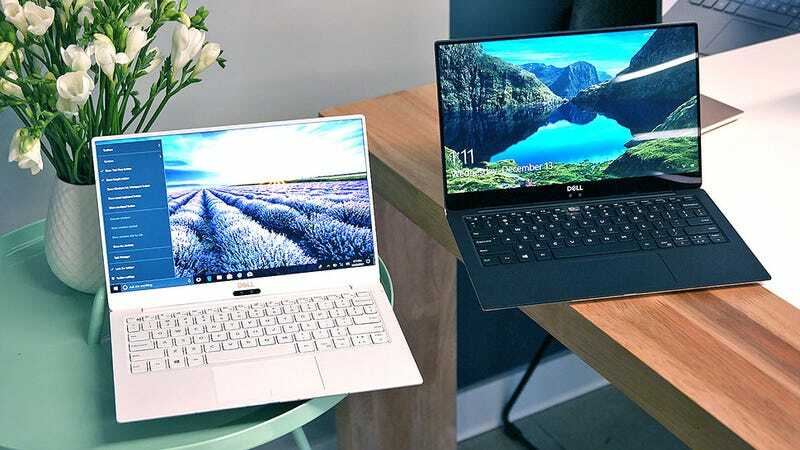 But a closer look at the specs reveals a thinner and lighter body that Dell claims is 24 per cent smaller by volume than last year’s XPS 13. 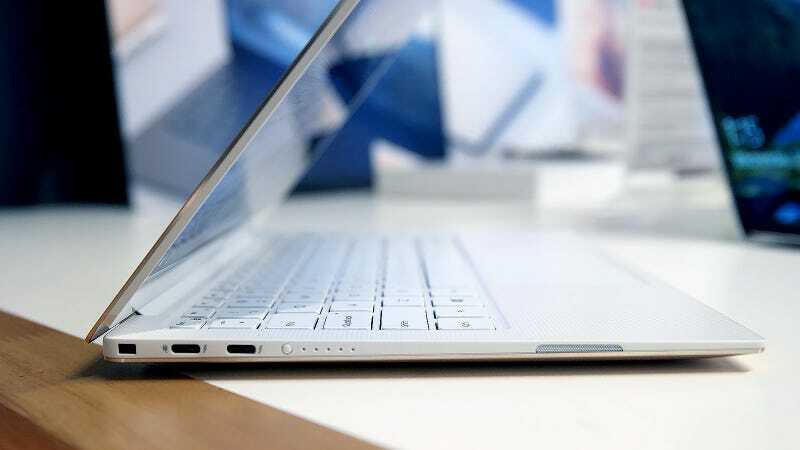 In fact, weighing in at 2.68 pounds and measuring 11.9 x 7.8 x 0.46-inches at its thickest, the new XPS 13 is closer in size to Apple’s 12-inch MacBook (11.04 x 7.74 x 0.52 inches and 2.03 pounds) than the 13-inch MacBook Air (12.8 x 8.94 x 0.68 inches and 2.96 pounds)—which, even though it's getting kind of old at this point, the MacBook Air is still people’s favorite yardstick when it comes to comparing super sleek ultraportables. Even Dell’s signature Infinity Edge display has been improved by reducing the bezels to just 4mm (23 per cent thinner than previous models), which gives the new XPS 13 a screen-to-body ratio of 80.7 per cent. For reference, the screen-to-body ratio on a Galaxy S8 is only slightly better at 83.6 per cent. Thankfully, Dell didn’t have to compromise speed for this laptop’s small body. You’ll be able to choose between an 8th-Gen Intel Core i5-8250U CPU, or a Core i7-8550U chip, up to 16GB of RAM and even a 1TB PCIe SSD if you need a lot of on-board storage. Even the XPS 13's battery life has gotten a boost, with Dell saying the full HD model can last almost 20 full hours when streaming video. While that’s surely much longer than what you’d get in the real world, if that translates into a noticeable improvement over the 12 hour battery life of the current model we saw in our recent £1,200 laptop roundup, that’ll be quite impressive. Even though it's not full-size, I appreciate that Dell found room for a micro SD card reader. Now here comes the bad part. 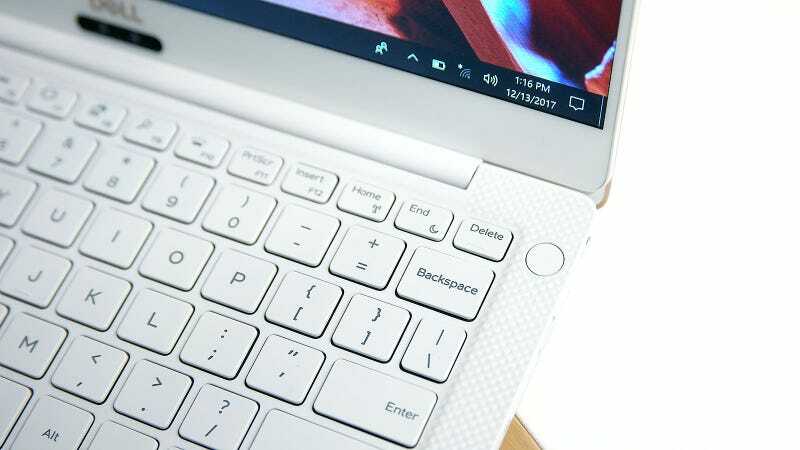 While the XPS 13's webcam now features two lenses that support Windows Hello facial recognition, the cameras themselves are still located below the screen. That means anytime you make a video call, people on the other side are going to be constantly looking up your nose or at your double chin. This is a compromise I’ll never understand. Unlike the black carbon fibre model, you can actually feel the weave on the white XPS 13's glass fibre deck. I’m still not sure if that’s a good or bad thing. The new XPS 13 is available today direct from Dell or in Microsoft stores starting at £1,250. What's the Point of a Pixelbook? 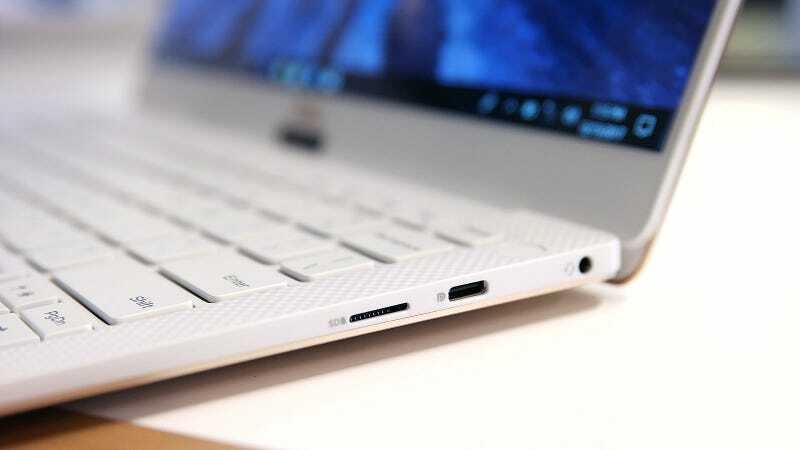 Why Would Anyone Pay £999 for a Chromebook?